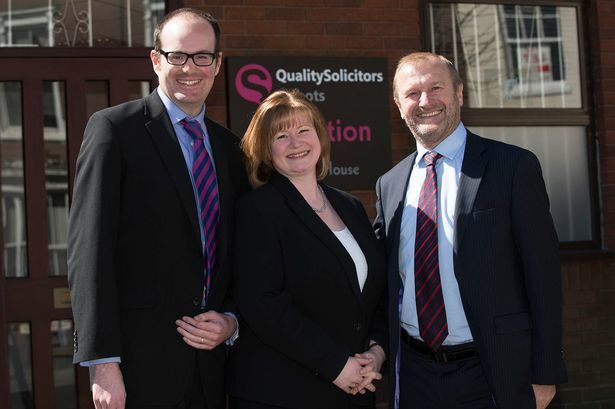 QualitySolicitors Talbots has made two appointments to its management board. The law firm, which employs 170 people across seven regional offices, has promoted James Gwilliams and Louise Jones to management directors following their acquisition of share capital in the business. The duo have more than 25 years experience in conveyancing and family law between them and have also been at the forefront of new legal developments in their respective sectors. They will now play a role in capitalising on QualitySolicitors Talbots’ growth across its private and business department, with the company looking to achieve £10 million turnover by the end of 2016. Martyn Morgan, director at QualitySolicitors Talbots, said: “Promoting our best people has always been a key policy of ours and I’m delighted to welcome Louise and James as shareholders and to the management board at what is an extremely exciting time for us. “They both share a desire to put the client first and be transparent with fees and remove jargon that has plagued the profession for many years. Mr Gwilliams, a specialist in residential conveyancing and part-time lecturer at the University of Wolverhampton, has been at QualitySolicitors Talbots since 2004 and is currently head of three of the company’s property teams. He will be responsible for implementing new services for clients and in exploring new opportunities for the firm to expand its national coverage. Ms Jones is a well-known figure in family law in the region, dealing with matrimonial breakdowns, pre-nuptial and pre-cohabitation agreements and all aspects of children matters. Developing the company’s private and mediation practice will be a key focus for her over the next few years, along with helping clients come to terms with the changes around restrictions in legal aid.